Educational qualifications for a job in medicine vary. Some occupations only require on-the-job training or the completion of a two-year program. For other medical careers, you'll need a four-year or doctoral degree. A license is needed for most medical jobs, and each state may have different licensing and certification requirements. The medical field has a range of career opportunities such as physicians, nurses and radiographers. If you can cope well in stressful situations and have compassion, patience, and physical stamina, a career in medicine is a good fit for you. You must also demonstrate excellent communication, math and technical skills. Physicians use their medical expertise to monitor the health of their patients and diagnose illnesses. They train for at least ten years, including obtaining a bachelor's degree, attending medical school and then working as a resident physician. 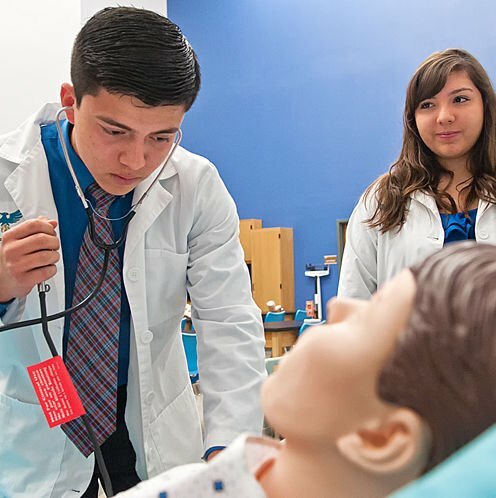 Future physicians must first earn a bachelor's degree, studying courses in organic and inorganic chemistry, biology, physics, mathematics and English. Additionally, they generally take courses in the humanities and social sciences and may opt to volunteer at a hospital or clinic. The American Naturopathic Medical Accreditation Board is an accreditation board which recognizes institutions of higher learning that provide excellent study programs in all fields of naturopathic healing. Extra Practice for the Emergency Medical Technician Exam from Barron s latest EMT manual!